Turkey’s educational system is composed of two parts; formal education and mass education. Preschool, elementary education, secondary education, and higher education form the basis of formal education. Mass education on the other hand is separated from the formal education and includes national education centers, apprentice training centers, open universities, and county colleges. There are a total number of sixty universities excluding private universities. Students want to study in reputable departments at reputable universities to succeed in the future. That is why they start studying for the entrance exams as much as two years in advance, usually taking up private tutoring as well. However, only 1/3 of the students can continue on to a state university of their choice. The others go to private universities, provided they can afford it, or start working, or wait one year to retake the exam, and some attend the military service. Language Proficiency: No IELTS Required If Student Can Able To Perform In Skypee Interview (At least). Some universities take student by IELTS score 5.5 (min) or Medium of Instruction Certificate. Attestation of all academic certificate & transcript (2 set photocopy) by Education Board. Bank Solvency: For student’s safety and surviving in Turkey, Every student need to BDT 7,00,000 to 10,00,000/- in his personal account which is very affordable and manageable for Bangladeshi students. Work facilities: According to the turkish law any student can work 240 half days per year within his study period and 1 day= 8 hours, 1 hour=8.51 USD minimum salary. So for BD student it is very easy to manage living cost through student job or mini job. After Study: If any student finished his study successfully then get 18 months extra time for job searching, it is called job searching period. Turkey has lowest unemployment rate in the world so it should be easy to get good job then rest of the world. 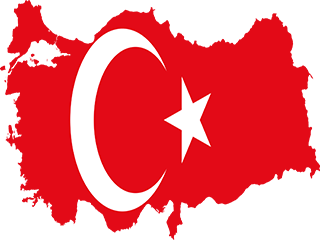 Besides of all above facilities Turkey has lots of merits like safe society specially for women, can travel anywhere in Europe without visa without asking any question in any point in whole Europe and lots of hidden conveniences which makes life so comfortable and dreams comes true in different way. Student visa holders must apply to the Aliens Branch of Local Police Department (Emniyet Mudurluğu Yabancılar Şubesi) within 30 days upon their arrival to obtain a residence permit. Once a residence permit is obtained, it enables the bearer to travel to Turkey multiple times through its validity. No further visa for entry into Turkey is required. Turkey Embassy Address: House 7, Road No. 2, Gulshan 2, Dhaka-1212, Bangladesh. Note: This is only for genuine students who are really interested to higher study in Turkey. Applicants are strongly requested to visit our office directly or contact directly over the phone.